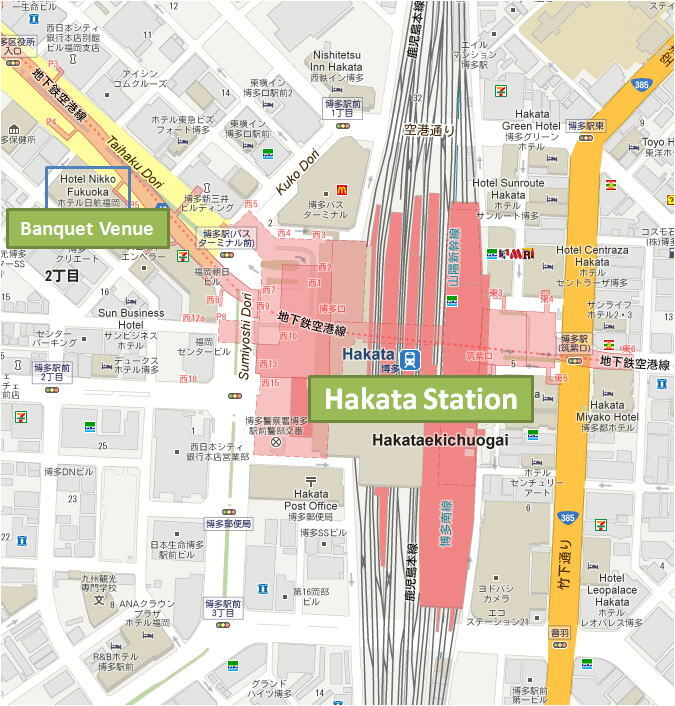 Take the Hakata Exit from Hakata Station, cross Taihaku-dori St. (the road diagonally to your right as you walk away from Hakata Station), and turn right. 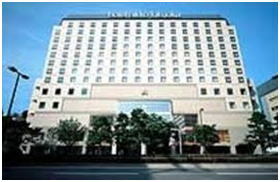 Hotel Nikko Fukuoka is located next to a capsule hotel on that street. 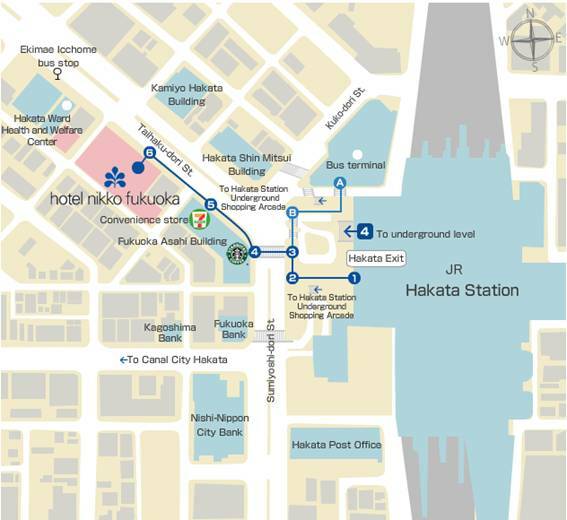 It takes about three minute on foot to reach the hotel.